Discover Toscana Country Club homes for sale in the heart of Indian Wells. Rapidly becoming one of the most sought-after private, luxury golf communities in the desert, Toscana Country Club offers an Italian hill town atmosphere with beautiful homes and the finest in desert living. Homebuyers will be delighted by the elegantly appointed custom homes and home sites featuring breathtaking mountain, lake and fairway views. The private-equity Toscana Country Club sits on 640 acres and offers an array of resort-style amenities for active lifestyle. Members enjoy golf, tennis, an elegant day spa, pickleball, bocce ball, social events, fine dining, and more. Golfers can choose from two Jack Nicklaus Signature Golf Courses. The two Jack Nicklaus Signature golf courses surround a total of 626 semi-custom and custom estate homes, ranging in size from 2,500 square feet to over 5,000 square feet, with 18 different floor plans. The architecture is of Mediterranean influences with a distinctly California character. Many of the homes include upscale design features such as gourmet kitchens with granite countertops, spacious outdoor living areas with courtyards, private swimming pools, spas, barbecue areas, and fire pits, and guest casitas. Toscana Country Club homes for sale range in price from $1,295,000 to $4,000,000. There are still a few home sites available to build your own custom dream home – priced at around $875,000. Recent HOA: $415/month approx. The gated entrance to Toscana Country Club is situated on Fred Waring at Eldorado between Cook Street. & Warner Trail. Toscana Sports & Tennis Club offers a variety of programs and state-of-the-art facilities and equipment. Whether you are interested in personal training, tennis instruction or hiking and wellness lectures, Toscana Country Club has something for everyone. At Spa Bella Vita, you can enjoy the relaxation of mind and body in an exclusive range of treatments for personal well-being. The Tennis Program at Toscana includes clinics, league play, club championships, private lessons, mixers and more for Members and guests. A wide array of weekly clinics are offered for players of all levels, which focus on improving your tennis game as well as events. Pickleball is also available and one of the fastest growing sports in the U.S. – ideal for players of all ages and ability levels. A full Pickleball instruction program is offered including complimentary weekly clinics. For golf enthusiasts, both Jack Nicklaus Signature Golf Courses play at over 7,000 yards and designed to offer a variety of challenges and an enjoyable golfing experience: South Course features dramatic bunkering and elevation changes, rolling greens, lush landscaping, and breathtaking mountain views. North Course features beautiful arroyos, rock formations, and rolling fairways set in a desert landscape with stunning mountain views. A double-ended driving range, a short game practice area with a chipping green, and a large putting green are featured as part of an extensive practice facility. The Bill Harmon Performance Center combines world-class instruction with state-of-the-art training facilities and technology to help golfers take their game to the next level. Golf Membership: $150,000 (approx.). Golf Monthly Dues: $1,525/mo. (approx.). 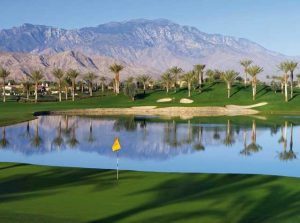 Toscana Country Club homes for sale in Indian Wells are only minutes from world-class shopping, fine dining, and exciting entertainment and cultural attractions. Whether you’re looking to invest in one of the beautiful homes in Toscana Country Club or thinking about selling your current home, real estate experience matters most in a changing market. For sellers, your agent should know how to act swiftly and decisively to get you the highest price. Elaine will get your home SOLD and will get you the best market price in the least amount of time possible. For buyers, Elaine is always the first to know when new inventory becomes available, ensuring that you have immediate access to the best homes and securing an offer. She will be there to protect your interests, advocate for you, and will work hard to ensure a smooth and successful transaction. 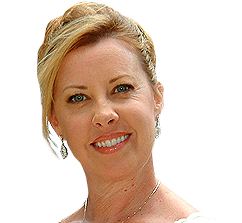 Please give award-winning Indian Wells REALTOR® – Elaine Stewart a call today at 760-668-2399 or fill out the online contact form and she will be more than happy to answer any questions you may have.